Kennard Law, P.C. is a team of dedicated attorneys that came together from large national and multi-national firms. Our clients have the benefit of our "big-firm" legal experience relied on by large corporations. We bring this quality of service and care and make it available to individuals and small businesses for when it matters most. We are highly skilled in all areas of employment litigation. Our Kennard Law, P.C. attorneys have previously defended large multi-national employers who were in violation of workplace rights. This places our Firm in a unique position to provide valuable insight when representing workers. We are able to draw on our experience and knowledge to pursue creative and effective strategies that are focused on full, fair and efficient resolutions. Our high-caliber legal representation is rivaled only by our commitment to responsive and caring service. We understand that employment litigation involves sensitive matters that are highly important to our clients. Our Firm provides a welcoming and safe environment, where clients quickly realize they do not have to go through this difficult process on their own. We are highly responsive to client needs and help each individual make informed legal decisions. Our small business and civil litigation clients come to us with a range of legal needs and goals. Our goal is to keep you in compliance and protected. We provide practical advice and solutions for those seeking to start, protect and grow their businesses. Our firm is in a unique position to offer sophisticated representation to companies but at a fraction of the cost of larger firms. Whether you need to bring or defend against a legal action, or require continued legal strategy for your operations, Kennard Law, P.C. can help. At Kennard Law, P.C., we believe small businesses deserve the same quality assistance as mega-corporations, and without the exorbitant rates of the big firms. We're in it for the little guy. With offices in Houston, San Antonio, and El Paso, Texas, Kennard Law, P.C. provides comprehensive legal services in employment law, small-business law and civil litigation. Contact our Law Firm toll free at 855-KENNLAW to discuss your important legal matter with one of our experienced San Antonio wage and hour lawyers. Helping protect your rights related to the workplace. For when you've been sued or need to sue to recover monetary damages and respect. Helping you protect your business like the big companies do. 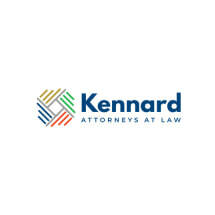 Kennard Law provides top-notch quality legal representation to individuals and small businesses. You don't have to be a mega-corporation to get top-notch quality legal representation. Kennard Law P.C. brings "big" firm quality and experience and makes it available to individuals and small businesses for when it matters most.